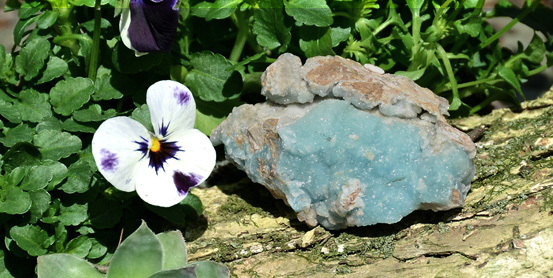 Simple garden rocks, geodes, polished or carved stones, stone sculptures and wands, gemstone jewelry and stones used in the creation of homes—all are members of the diverse community we call the mineral kingdom. Popularly referred to today as crystals or stones, all members of the mineral kingdom are living energies of Nature whose vibrations model and share energies that may support enhanced vitality, well-being and personal/spiritual growth. Like Reiki, crystals work in the realm of pure energy but can affect the condition of what is in physical form. Because they work in the realm of pure energy, working with crystals may help you to access and work with your whole self, including your stored thoughts, feelings, experiences and beliefs. Crystals communicate with you through their subtle energies and may draw your attention through touch, visual or conscious awareness at different times. You may work with them by placing them directly on a specific part of the physical body or somewhere strategic in your environment. Working with crystals may complement, but does not replace, traditional medical and psychological treatment. Crystals can support the practice of meditation, Reiki, Feng Shui and other energy-based healing modalities in a variety of ways.